AAA flashlights are usually small and can generally fit in one’s pocket. But some people think that having this kind of torch will be useless because they believe that it won’t be able to produce enough light for them. But the truth is, there are a lot of AAA flashlights that can be powerful despite its small size. They can give you the illumination and beam distance that you need depending on the manufacturer just like with the regularly sized flashlights. Flashlights that are operated by AAA batteries is both convenient because of its size. They are one of the most compact and stylish flashlights on the market. They are minimalist and lightweight, so you don’t have to worry about them that much. When it comes to brightness, some AAA flashlights can produce a total of 100 lumens. But with the number of AAA flashlights on the market, it can be challenging to choose the best ones. Fortunately for you, I have gathered the top 10 best AAA flashlights to help narrow down your choices. 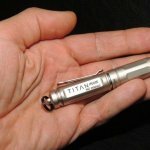 The Surefire Titan Plus is one of the best AAA flashlights today, wherein it weighs two ounces after installing the battery. It may be small, but its lights are powerful enough wherein it can provide you with a total output of 300 lumens for hours. You can easily switch it by twisting, and you can also use the same switch to choose the brightness level depending on your liking. The Surefire Titan Plus has an art reflector, which is designed to help the flashlight to emit a wide MaxVision beam. 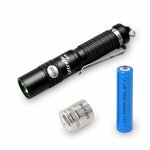 This flashlight is powered by one AAA battery, or you can also use a rechargeable one. 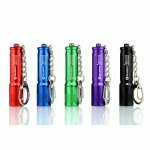 The Flight i3e is a budget-friendly AAA flashlight and comes with different colors, including silver, black, blue, purple, green, and red. It has a maximum output of 120 lumens, but the other colors may only reach 90 lumens. This flashlight is powered by one AAA Battery and features PMMA TIR lens, and Luxeon TX LED. These mean that this flashlight will have a maximum beam distance of 48 meters for the silver color and 44 meters for the other colors. One of the best things about this flashlight is that it has an IPX-8 rating and a 1.2 meters impact resistance. The Foursevens Preon P1 is a compact flashlight wherein it only measures two inches. But it has a CREE XP-L, which means that it can produce a total of 100 lumens for an hour. You can also use 5 lumens which will even 20 hours if you want something that will even for an extended period of time. 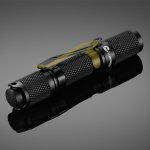 This flashlight offers a two-mode interface and a five reconfigurable user interface to ensure that you can set it the way you want your light to be. The Foursevens Preon P1 has three different basic brightness level, including Beacon Low, Beacon High, SOS, and Strobe. The body is made out of type III anodized hard aircraft grade aluminum. The lens is made out of optical grade class and has an anti-reflective coating. This means that it can provide a spot beam of up to three meters in diameter. The Lumintop Tool is a portable keychain and requires one AAA battery which can produce 110 lumens for half an hour. It uses a CREE XP-G2 R5 LED offers a total beam distance of 47 meters with 553 intensity candelas. This flashlight has a click switch which is at the top of the tail cap. There are three different brightness modes, which you can access through the tail cap. You can operate this flashlight by twisting it loosely or tightly so you can change between different modes. The Lumintop Tool has a 1.5-meter impact resistant and a total of IPX-8 rating. The L3 Illumination 08 can be twisted in its head so you can turn it on or switch through the different brightness. It can be powered by AAA battery and can produce Nichia 219 4500K 92CRI or a neutral white emitter or a cool white or the XP-G2 R5. 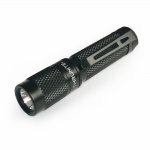 The L3 flashlight is made out of aircraft grade aluminum and has an anti-abrasive finish, which makes this durable. 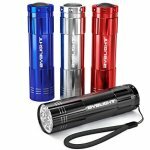 One of the best things about this flashlight is that it comes in four mode version, including a low, medium, and high setting. Lastly, you can enjoy 90 lumens for 1.5 hours, while three lumens can last for 30 hours. 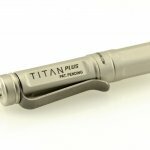 The SureFire Titan Plus Ultra is available in black and silver matte with a pocket clip that can be removable. This flashlight has a proprietary reflector to help shape the light so that the beam can be dispersed evenly. It is perfect for close-range use, so you don’t have to worry about anything at all. One of the best things about this is that it has a keyring so you can use the flashlight as a keychain or attach it to other things that you like. 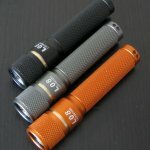 The ThruNite Ti3 Keychain Flashlight is made out of hard anodized aluminum, which makes this flashlight sturdy. It has three brightness levels of 120, 12, and 0.4 lumens and a strobe mode. You can quickly turn this on by twisting the flashlight’s cap. This flashlight is powered by AAA battery which can produce a maximum lumen of 120. You can save the battery’s life by using the firefly mode as it’s a setting that will provide a small amount of lumen. 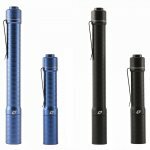 The UltraTac K18 Flashlight is made out of the hard anodized aluminum body for maximum durability. It is also water resistant and as well as impact resistant, which means that it can withstand any impact. This flashlight is powered by triple-A battery or 10440 batteries. One of the best things about this flashlight is that it has a maximum output of 360 lumens. It also has a good beam distance and intensity for your everyday needs. The BYB Super Bright 9 LED flashlight is a compact flashlight that can fit almost anywhere. It is versatile and durable which is perfect for any kinds of situations. It has a push button which makes this flashlight easy to use. To power your flashlight, you only need three triple A batteries. This flashlight is equipped with 30 lumens, and the beam can reach 20 feet away. To ensure that it is portable and that you won’t lose it, it has a nylon lanyard where you can attach it to almost anything. 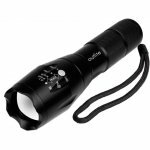 The Outlite A100 Tactical Flashlight is equipped with 1000 lumens and is powered by either three AAA batteries or one rechargeable 1850 battery. It has different operating modes, including SOS for emergencies, strobe, low, medium, and high. You can also adjust the spotlight if you need a beam that’s long range, as the beam can travel for a maximum of 600 feet. This means that you can illuminate a more significant area using this Outlite Tactical Flashlight. The Body of the Outlite is made out of aircraft aluminum, which means that you can use this during extreme temperatures. It is also shock resistant and water resistant, which makes this flashlight a durable and reliable one. AAA Flashlights are known for their small size and shapes because they are somewhat similar to pens. This means that you can conceal this device because of its small size. You can only wear this flashlight as a necklace, or you can put it in your pocket. There are some AAA flashlights that have clips on them which you can easily attach to your pants. Of course, keychain AAA flashlights are also available and can be attached together with your keys. Majority of the AAA flashlights are smaller than your palm. The brightness of the flashlight can be determined by knowing the maximum lumber that the flashlight can produce. This means that the higher the lumens, the bright your flashlight is and as well as its beam. It would be best to choose an AAA flashlight that has a cold white light as this is known to be energy efficient. The battery will also be able to last long. The perfect lumen of an AAA flashlight would be between 75 to a maximum of 85 lumens. This kind of lumen will not blind you by its brightness. If you are going to use your flashlight outdoors, then you may want to choose a flashlight that has 150 lumens in total. You should know if you want a narrow beam or something that is broader. The best kind of beam is that one that has the power to balance both of this type. So always make sure that the flashlight that you’re going to purchase will have this kind of factor. There are AAA flashlights that have the power to balance between a flood and throw. Now, if only one is possible for you, then choosing the flood one would be best as this will give you a broader coverage. The type of switch is also essential, since there are twist ones and click ones. The best AAA flashlight is one with a tail switch so you can turn it on even if it’s inside your pocket. Choosing a twist switch means that you will have the twist the head of the flashlight so you can turn it on and off. This will also help you change the mode from low, high, and medium. Majority of AAA flashlights don’t have the ability to save the last setting that you used, so you have to readjust it again. The quality of the flashlight will help you know how long it will last. A great flashlight is one what is made out of airplane grade aluminum. The reason behind this is because it is almost indestructible and can withstand impact. The outer part of the flashlight should be rough enough to avoid it from sliding down. It would also be best to choose a material that can be submerged in the water of up to 2 meters. Of course, the warranty is also important so you should check on that too. Most flashlights come with a year or warranty, but there are also some flashlights that have a lifetime limited warranty. Since you are purchasing AAA flashlights, you shouldn’t worry because they are affordable and are always available. Their runtime is also long, which is why a lot of manufacturers prefer to use this kind of flashlight. But remember that if you’re running your flashlight on its highest setting, then the runtime may be lower than usual. Everything will always depend on the usage. The tactical AAA flashlight is the sturdiest and one that can produce the brightest lights available. They are usually made out of anodized aircraft aluminum, which is why they tend to last for an extended period of time. 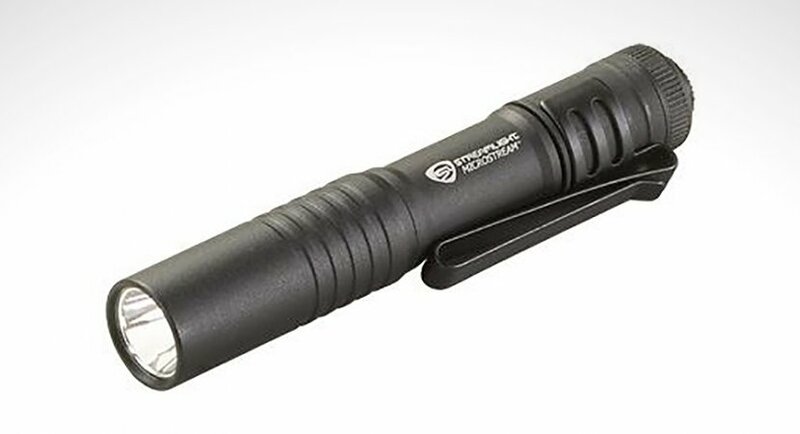 The pocket AAA flashlight is one that is perfect to be used indoors or inside the house. The reason behind this is because it only has a limited use professionally. But worry not because they are still useful and can help you in the dark. The penlight AAA flashlight is perfect for reading at night and during inspections in dark environments. You can use this to find something under the bed or in the closet. As mentioned above they are small in size and therefore, some people may ask as to why you should choose AAA flashlights compared to the bigger ones. Especially that they are dominating these AA flashlights because they are small and has a low output. So I have gathered some information as to why it is best to choose AAA flashlights. One of the reasons why you should choose AAA flashlights is because of its convenience when it comes to replacing the battery. AAA batteries are available anywhere an anytime, and you need to have batteries all the time in case your flashlight’s battery runs out. You can just go to your local store and find a pack of AAA batteries. Or go to the grocery to find them in an aisle waiting for you to grab them. People who are often traveling will find the convenience of finding AAA batteries almost anywhere. Also, this kind of battery is also known as alkaline, which is mercury free. This means that you can dispose of it like disposing a paper to a garbage bag. You don’t have to follow proper disposal because no harm will happen to you or the people around it. Another good reason why you should choose AAA flashlights is that despite their small size, they also have the power to produce bright outputs. This is just because of the LED technology that manufacturers are using now. AAA flashlights can produce a minimum of 8 lumens and a maximum of 850 lumens. In order to achieve the 850 lumens, you might need to use three AAA batteries. But a single AAA battery can already help you produce a total of 300 lumens. AAA flashlights also have the ability to produce different output modes. Majority of the flashlights today offer a couple of options for you to choose from. For instance, some flashlights have a high mode where it can produce 125 lumens. There are also ones that can be set to low mode and can produce 15 lumens. 15 lumens is perfect for reading and during power outages. AAA batteries are the smallest battery available for flashlights, which makes the flashlight also small and very much compact. This can make you carry your flashlight every day with ease because of its light. In fact, you won’t even feel that you’re carrying one because of its weight. When it comes to the size, the longest available AAA flashlight is four inches, and that can perfectly fit in your bag or in your pocket. You will never feel uncomfortable while wearing this kind of flashlight. Of course, when purchasing a flashlight, you also need to take into consideration the size of the battery. The reason behind this is because it is always ideal to carry spare batteries with you, especially if you are going on a trip. AAA flashlights have batteries that are small, and they weigh very light. They also don’t take up a lot of space so you shouldn’t worry about that. You can just pack it together with your other belongings, and you won’t even feel its weight on your bag. Also, AAA flashlights are durable and are usually not expensive. As you all know, when a flashlight is durable, it also comes with a hefty price. But with AAA flashlight, you shouldn’t worry about that. Due to the durability of AAA flashlights, they tend to last longer than other. They also impact resistant so dropping them accidentally won’t cause significant damage to them. In fact, there are some people who are still using 5-year-old AAA flashlights or even higher up to now because they perfectly work well. All they do is change the batteries with new ones, and the flashlights are then good to go. As mentioned above, AAA flashlights are affordable therefore worrying about the price is no longer necessary. 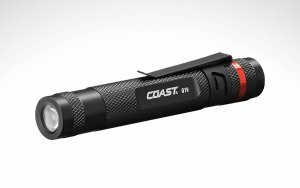 They are the most affordable type of flashlight, and this may be because of the size that it has. But you shouldn’t worry because, despite its affordability, they are made out of durable construction. Stop worrying about the price because they are definitely affordable. AAA flashlights may lack the size that other powerful flashlights have, but they can surely work together with your other big flashlights. The brightness will impress you once you start turning the flashlight on. It can even give you an illumination of up to 45 meters. With the top 10 best AAA flashlights listed above, you surely won’t have a hard time choose one that is best for you. 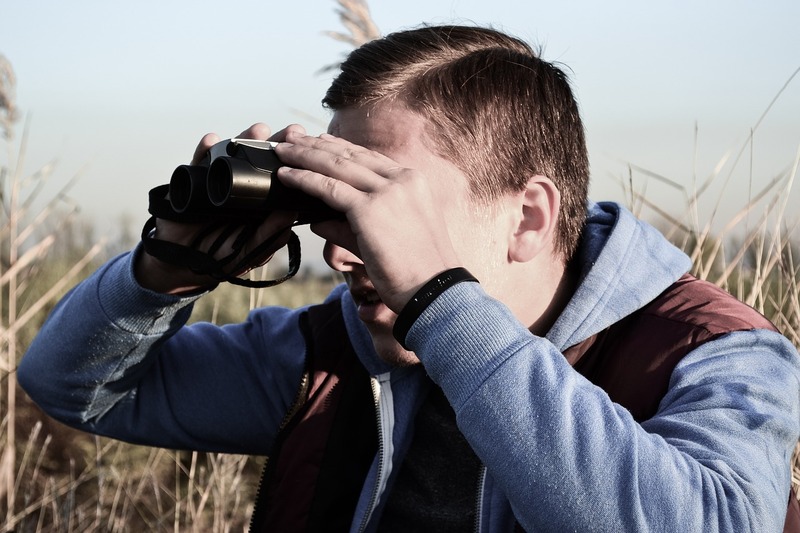 Familiarize yourself with the above list, and you will be able to get an AAA flashlight that will suit your needs.